...that is freaking phenomenal! You're totally on fire these days! I love it! OH, I'm not the first to notice the flames coming off of ya, hahahaha....but really. How you get away with these colors is just fantastic, too. They have to be that way, but I would've never thought of it like that. No time for Verve my ! @#$ Thank goodness you found the time or we would never have had the elster and this. Yah I wish I was on that water fishing right now and drinking a corona and lime Colors are gorgeous and the subject really clean. I think I am almost there. If you empty the layers and remove my simple result you can test.. Trees are rather like pastel-colors but the rest is fine. Oh, I forgot, set build-up dial to zero..
Great scene and painting! Very natural gesture for the fisherman (nicely painted hand though). Thanks for the tutorial Knacki! btw. 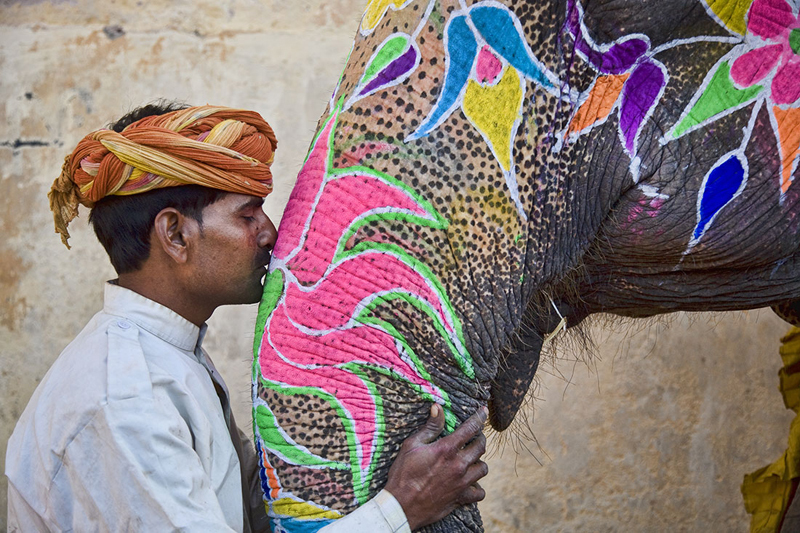 like how you painted that elephant for the festival. Thanks a lot all of you. My pleasure. All this work starts to pay out a little bit, but still a very long way to go. But hell, it's so much fun. Just have to direct creativity now to normal life again. But you know what? With you guys around it's just so convincing to paint. It feels very good to share my pics with you. I really do appreciate all these kind comments. @ Lemi, you are a fan of litte birds..me too! @ taron, thanks to your wonderful program, taron. Thanks to you! @ tartan - maybe we'll find some time going fishing one day. Have been to Florida first time last year , don't have to be last time With a Corona sounds very good to me. Lemi, this seems to work very, very good! I am super happy I could help! Thank you for your thank you, red heart and birdie! Cherry_Blossom picture... Oh, it is WONDERFUL! Cherry blossom was too nice not to get a more whimsical touch, wasn't it? You're so out-doing yourself, Knacki, it's crazy! Really awesome! But if anything deserves a nice paper texture for the background, it's this one!